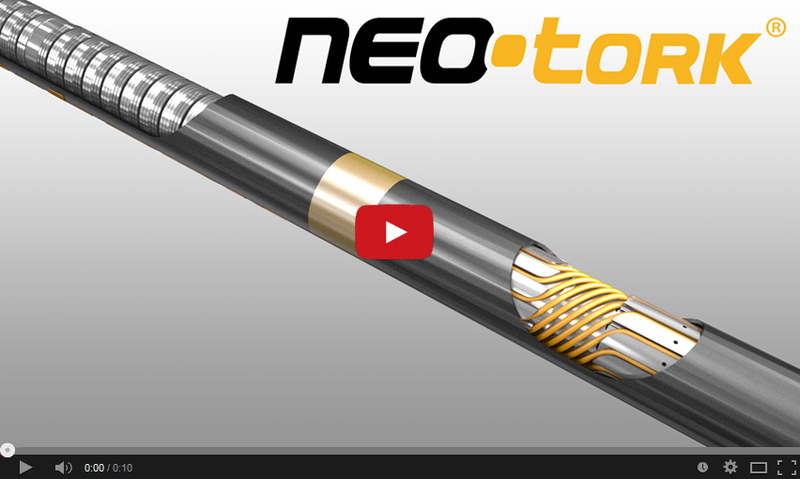 NeoTork is a downhole tool that manages torque generated by the drill bit as well as mitigating axial and torsional vibrations, protecting critical BHA components. The simple, unique design automatically controls downhole torque. When torque exceeds a preset limit, the tool contracts to reduce the drill bit depth of cut. The excess torque ‘stored’ in the system is slowly released as the drilling structure drills off.